“I view it very seriously, not just that but any threat to any other countries, as well as I view very seriously our determination to reverse out this aggression. And please believe me, there are an awful lot of countries that are in total accord with what I’ve just said, and I salute them. 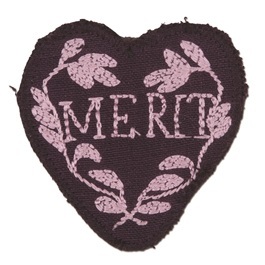 1782 – General George Washington, the commander in chief of the Continental Army, created the “Badge for Military Merit,” a decoration consisting of a purple, heart-shaped piece of silk, edged with a narrow binding of silver, with the word Merit stitched across the face in silver. The badge was to be presented to soldiers for “any singularly meritorious action” and permitted its wearer to pass guards and sentinels without challenge. The honoree’s name and regiment were also to be inscribed in a “Book of Merit”. Washington’s award – later changed to the more poetic and patriotic “Purple Heart” – was awarded to only three known soldiers during the Revolutionary War: Elijah Churchill, William Brown and Daniel Bissell, Jr.
1942 – The U.S. 1st Marine Division began Operation Watchtower, the first U.S. offensive of the war, by landing on Guadalcanal, one of the Solomon Islands. During the attack, American troops landed on five islands within the Solomon chain. Although the invasion came as a complete surprise to the Japanese (bad weather had grounded their scouting aircraft), the landings on Florida, Tulagi, Gavutu, and Tanambogo met initial opposition from the Japanese defenders. 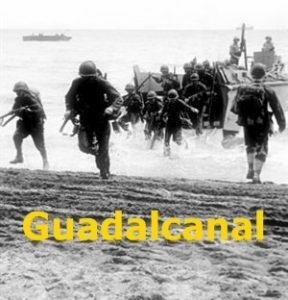 But the Americans who landed on Guadalcanal met little resistance. More than 11,000 Marines had landed, and 24 hours had passed, before the Japanese manning the garrison there knew of the attack. The U.S. forces quickly took their main objective, the airfield, and the outnumbered Japanese troops retreated, but not for long. Reinforcements were brought in, and fierce hand-to-hand jungle fighting ensued. The Americans were at a particular disadvantage, being assaulted from both the sea and air. But the U.S. Navy was able to reinforce its troops to a greater extent, and by February 1943, the Japanese had retreated on secret orders of their emperor (so secret, the Americans did not even know it had taken place until they began happening upon abandoned positions, empty boats, and discarded supplies). In total, the Japanese lost more than 25,000 men, compared with a loss of 1,600 by the Americans. Each side lost 24 warships. 1944 – Under the threat of Allied bombing during World War II, the German car manufacturer Volkswagen halted production of the “Beetle,” as its small, insect-shaped automobile was dubbed in the international press. 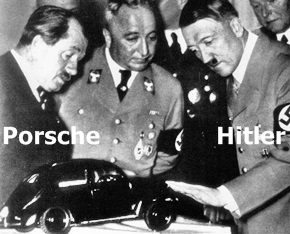 Ten years earlier, the renowned automotive engineer Ferdinand Porsche had signed a contract with Germany’s Third Reich to develop a prototype of a small, affordable “people’s car”. In the war’s aftermath, Volkswagen, then under the control of the British military, began turning out Beetles again in December 1945. By 1949, the company (now called Volkswagen GmbH) was back in German hands, and in 1972 the Beetle passed the iconic Ford Model T as the top-selling car in history. 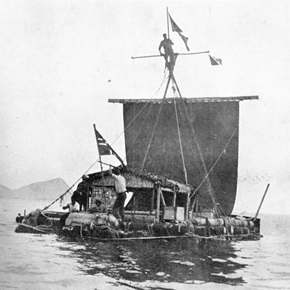 1947 – Kon-Tiki, a balsa wood raft captained by Norwegian anthropologist Thor Heyerdahl, completed a 4,300-mile, 101-day journey from Peru to Raroia in the Tuamotu Archipelago, near Tahiti. Heyerdahl wanted to prove his theory that prehistoric South Americans could have colonized the Polynesian islands by drifting on ocean currents. 1957 – Actor/comedian Oliver Hardy died from cerebral thrombosis at the age of 65. 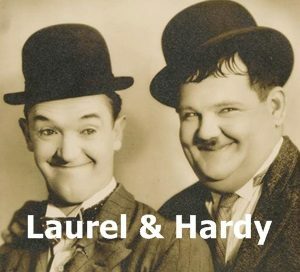 He appeared with his comedy partner Stan Laurel in 107 short films, feature films, and cameo roles. Their 1932 film, The Music Box, won an Academy Award for Best Short Film. 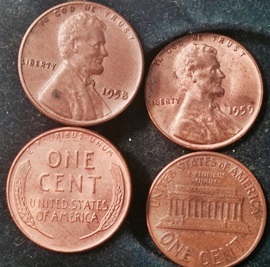 1959 – The Lincoln Memorial design on the reverse side of the U.S. penny went into circulation. It replaced the “sheaves of wheat” design and was minted until 2008. 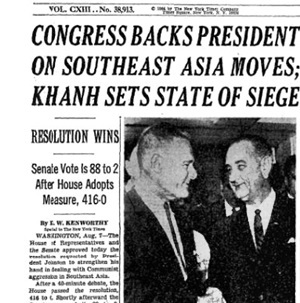 1964 – Congress passed the Gulf of Tonkin resolution, giving President Lyndon Johnson broad powers – an understatement if ever there was one – in dealing with reported North Vietnamese attacks on United States forces. 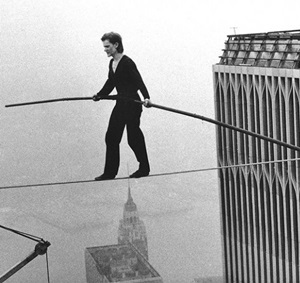 1974 – French stuntman Philippe Petit walked a tightrope strung between the twin towers of New York’s World Trade Center. Shortly after 7 am local time, Petit stepped out on the wire and started to perform. He was 1350 feet above the ground. He performed for 45 minutes, making eight passes along the wire, during which he walked, danced, lay down on the wire, and knelt to salute watchers. Crowds gathered on the streets below, and he said later he could hear their murmuring and cheers. The 2008 documentary film Man on Wire, about Petit and his 1974 WTC performance, won the Academy Award for Best Documentary in 2009. 1990 – President George H. W. Bush ordered the organization of Operation Desert Shield in response to Iraq’s invasion of Kuwait on August 2. The order prepared American troops to become part of an international coalition in the war against Iraq that would be launched as Operation Desert Storm in January 1991. 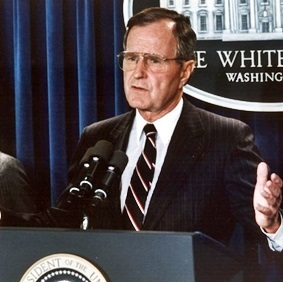 To support Operation Desert Shield, Bush authorized a dramatic increase in U.S. troops and resources in the Persian Gulf. 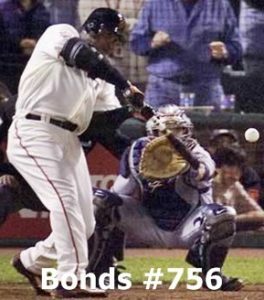 2007 – Barry Bonds became baseball’s career home run leader when he hit Number 756 during a home game in San Francisco, passing Hank Aaron’s mark. 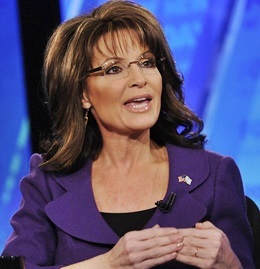 2009 – Former Republican vice presidential candidate Sarah Palin accused President Barack Obama of proposing a “death panel” that would decide who receives treatment in his health care plan. Compiled by Ray Lemire ©2018 RayLemire.com/Streamingoldies.com. All Rights Reserved.